Ever wondered what’s in the actual closet of your favorite designers and style icons? 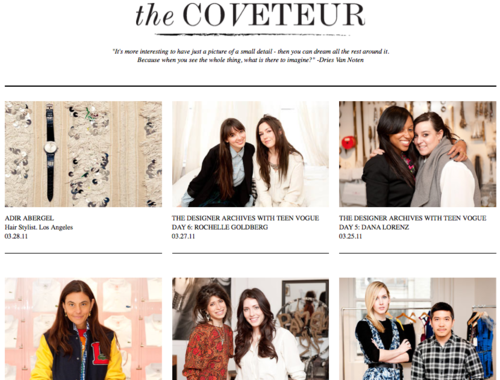 Now you can find out withThe Coveteur. The Coveteur takes you inside the closets of internationally influential cultural forecasters, showing us what culminates in their personal style – one item at a time. Click here to get the behind-the-scenes scoop on today’s modern trendsetters!